Is there any such thing as unbiased journalism? I have always wondered about this: whether it is possible if ever to have unbiased journalism or reporting within a society. Of course the role of journalists in the democratic society which we are trying to live in today is of vital importance. 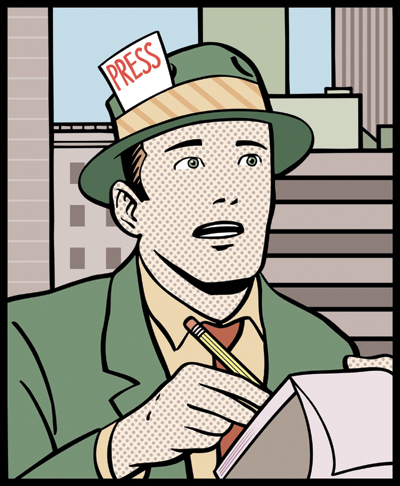 The responsibility that is laid on the shoulders of news reporters is in no way a small one. They are the ones who should provide the society with vital, reliable and accurate factual information on current events so that the ordinary citizen can form their own opinions on what goes around them. The mission however noble it may seem on paper, is not what actually happens in the real world. No matter how ever much we may try to stir up the idea that unbiased journalism is what goes on in the ‘democratic’ societies today, its the sad truth that this is not what actually happens in reality. We don’ t have to look much further to see this fact in real life. Here in the Maldives, however young our democracy maybe, it is the inevitable truth that the media in our country reports always in favor of the political party or side to which it favors. In Gayyoom’s presidency, the state run media Television Maldives (TVM) faced never ending accusations of reporting in favor of the 30 year dictatorship in the country. Now that the tables have turned, TVM still faces accusations from now the opposition Dhivehi Rayyithunge Party (DRP) and its allies stating that its a propaganda machine of the current government. However on the other side, we have the private channels such as DhiTV, and God knows how much DhiTV tries to portray the current government as a dictatorship much worse than that of Maumoon’s and a government capable of heinous crimes such as those committed by Adolf Hitler during the World War II. Now mind me, I am all in for constructive criticism of the government as any fool can understand, such criticism or feedback can only in the end benefit the ordinary citizen. But what galls me to no end is the manner in which DhiTV tends to present their news bulletin. News that is supposed to be all about facts, figures and interviews from the sources behind the news item. However, DhiTV tends to present the news items in such a manner that all I can hear at the end of each news item is that so and so happened because of President Mohamed Nasheed or America is facing dollar shortages due to the poor economic policy outlined by the government established by the Maldivian Democratic Party. Ridiculous! I guess some might point out that with TVM reporting in favor of the government and DhiTV the opposite, things sort of balance and even out in the end, which is not how I see it. Divided as we have become ever since the new government was elected effective 11th November 2008, the vast difference between the reporting styles to which more fuel is added by the rivalry between political parties, tends to create a greater divide amongst the people. Most of the times, it becomes headache to turn on the TV and watch any local news because God knows what arguments it would stir up within the audience. Even looking a bit farther into the ripe age of democracy that the United States has reached, one can’t help but see the same pattern there too. Fox News which is famous for blatantly criticizing the Obama administration ever since Obama was elected in 2008, has sometimes bordered on the line of ridicule. Words exchanged between the White House and the Fox news channel might seem amusing at times, but the stark reality behind the risible facade is that unbiased journalism is just something written on paper with no evidence to back it up. That democracy and freedom of speech is a big joke if he-said-she-said and ultimately finger pointing and the blame game is all that is left at the end.